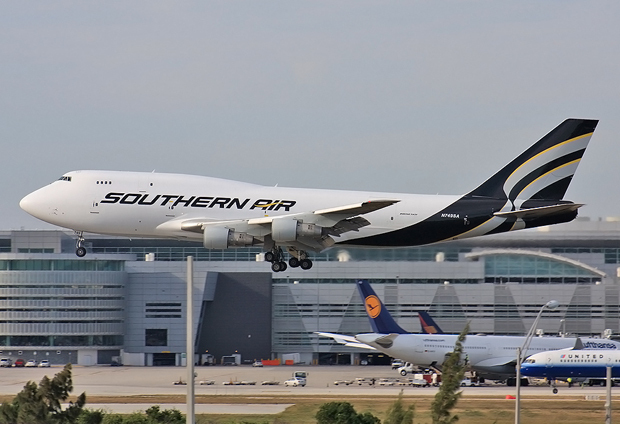 Cargo mover Southern Air has unveiled a new paint scheme on one of their 747-300s. The aircraft, N749SA, was caught by photographer Luimer Cordero at Miami International Airport. 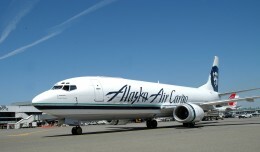 The Norwalk, Conn.-based operator recently acquired a pair of Boeing 777Fs that they are operating for Thai Cargo, joining their fleet of 16 Boeing 747 freighter variants. They are slated to receive a total of six 777Fs. 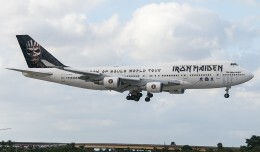 Late last week, the newest incarnation of Iron Maiden's "Ed Force One" touched down in Fort Lauderdale. Staff member Mark Lawrence was there for the arrival. 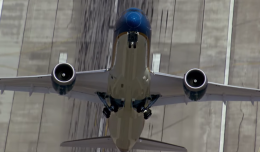 As an airliner flies by, cargo and passenger jets look virtually the same.. Inside a freighter, though, it's an entirely different experience. 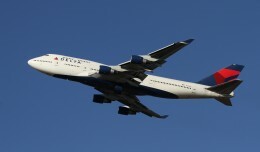 In November, Delta added two domestic MSP-ATL 747 flights on Thanksgiving weekend. 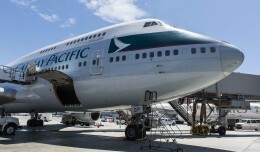 Spotters took notice, and several booked a rare domestic date with the Queen. Very nice scheme on an older -200. And – a good pic! Uh – my mistake – make that an older -300 series!